MakeMyOrder is an online shopping gateway that brings it customers with the hassle-free shopping experience. Offering a variety of products, it brings fashion and clothing item for men and women. Its wide range includes Grooming Accessories, Footwear, Western wear, Ethnic wear, Gadgets, Mobiles, Home Décor, Jewellery, Lingerie & Nightwear, and Toys for Kids, Handicraft Products, Beauty & Personal Care Products, and Combos of Multiple Products. Founded in 2016, this online portal believes in first class customer services and offering quality products. This online marketplace that sells everything with ease has earned well-reputed market name and shower its customers with a range of coupons and offers that favors them with saving and cheerful shopping. Apart from offering an appreciable return policy and delivery services, it serves its customers with supportive customer support. Shop and save on first registration. Get flat Rs.200 discount on first order. Offer is applicable on orders over Rs.2000. Coupon code is also available to enjoy the deal. Don't miss this deal. Making you meet to your desired ones, Makemyorders.com brings you the best of selection in women's sarees online. Grab extra 11% discount on designer saree To avail this offer, enter the given coupon code at final payment. Hurry to shop now to enjoy the deal. Purchase minimum Rs.3999 and get a discount of Rs.500. To avail this offer use the given coupon code at final payment. Offer is valid for first subscriber only. Steal the offer. Order now and get flat 15% discount on all products. Enter the given promo code at the time of checkout. Offer is valid for a limited period. Register now and get Rs.500 discount on your first order. Minimum purchase value of Rs.5000 is required to avail this discount. Use the given coupon code at final payment. Offer is valid for a limited time. Now avail flat Rs.200 discount on women Ethnic wedding wears when you shop minimum Rs.1699. Enter the given coupon code at the time of checkout. Grab the deal to redeem this offer. Purchase online and get 10% discount on Ethnic wear. The coupon code is also available to enjoy the deal. Coupon code is valid once per time per user. Check the latest party ethnic wear dresses and buy it online at the best prices. For shoppers, an amazing online marketplace was launched in the e-commerce industry which capable to deliver millions of products at one place. Yes, we are talking about India’s emerging shopping destination i.e. Makemyorders.com. It was launched recently in May 2016 and become popular among customers in a short span of time. The e-shopping store presents the dozens of categories with millions of products to their shoppers. It’s the home of local and branded stores where products are available at cheapest prices than markets. The company is connected with the 700+ vendors and presenting the trending collection of clothing, home décor, footwear, and accessories at reasonable prices for fashion freaks and provides the best shopping experience. The headquarters of the company is based in New Delhi and provides delivery in all 1000+ cities of India. Nearby 1, 00,000+ Lakhs orders were placed by shoppers by saving big discounts on their purchase. Offers & Discounted Coupons Make Shopping Worthy: In India, shoppers love to take a discount on products which they want to shop and Makemyorders.com fulfills their customer’s wishes by introducing exclusive sales & offers. Under the sales and discount offers the shoppers can shop for their desired products at cheapest prices. Currently, the festive season is going on and there are dozens of festive deals and offers are open for buyers. By availing these offers a shopper can save up to 30-70% on their purchase which let them shop more this festive season. We pin down some of the exclusive offers and deals which are trending among shoppers in India. Trendy Western Outfit Under 999 Rs. Only: It’s the shopaholic month of the year when great discounts and sales are provided to the customers. Similarly, MakeMyOrders give you the Rs. 999 store to buy the best trendy western outfits. The Rs. 999 store has thousands of premium designer outfits for both men and women, simply discover the section to make a wonderful shopping this month. Diwali Celebrations Up to 80% OFF: For ladies, there is a grand discount on ethnic wear now shop for the sarees, suits, and other accessories by saving up to 80% on your purchase. The sale is open for a limited time frame. Shop Now! Men’s store under Rs. 999 only: For men, the exclusive section is designed where products are available under 999 Rs. Only. Choose from thousands of designers products which are available at discounted prices this festive season. Above are the key categorized offers available under MMO OFFERS section. 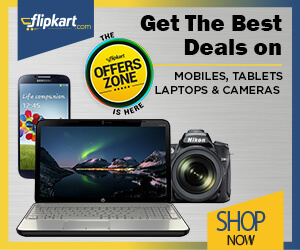 Access it any time and discover the offers and deals which enable you to shop at minimum price tags. Safest Mode of Payments: Like shopping making payment via MakeMyOrders is also easy and secure. The company supports multiple payment gateways for the comfort of the customers. The payment modes are Net banking, cash on delivery, e-wallets, and credit/debit cards. It’s fully depending on the customer to opt the desired payment mode to place the order. Once the users place the order they can track easily the delivery status of the respective order till it’s shipped. 24X7 Online Customer Support: Feel free while shopping at Make-My-Orders and get the best customer assistance from 24X7 Online customer support. Any kind of queries related to order booking, delivery issues, or anything simply contact on registered mobile numbers. For more information about products text those on their WhatsApp number to get the instant service.